The United States’ economy is driven largely by small businesses. Over 28 million small businesses in America employ roughly half of the private sector workforce and create over 1 million jobs per year. Corporate cutbacks amidst the Great Recession prompted many displaced workers to either start their own businesses or acquire established small businesses. Entrepreneurs and small businesses often have limited access to capital. The traditional bank lending world is often averse to funding entrepreneurial ventures or business acquisitions. However, the availability of government guaranteed lending programs for banks opens the credit markets for entrepreneurs seeking business acquisitions. Business appraisers are routinely engaged by financial institutions to estimate the fair market value of a small business to ensure that the loan value can be supported and to ensure that the business is able to provide a sufficient risk-adjusted return for the borrower. Government agencies that guarantee bank loans for small business acquisitions have stringent requirements relating to the analysis and valuation of the business. Lenders have a responsibility to these government agencies guaranteeing a portion of the loans to ensure that business acquisition loans are sound financial decisions. To be sure, the lender’s decision making process could be significantly impacted by the valuation. 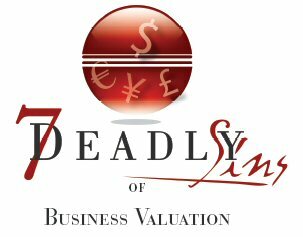 The business valuation process can seem like a “black box” to the lenders, the borrowers seeking to acquire a business, and others not versed in finance and valuation analysis. There are many factors to be considered when valuing small businesses, and the valuation process often deals with imperfect or incomplete information which may necessitate adjusting financial statements, numerous assumptions, and judgment calls by the appraiser. Lenders often have many misconceptions regarding the valuation process, and often lenders’ internal analysis can conflict with a formal valuation analysis and the appraiser’s assumptions. 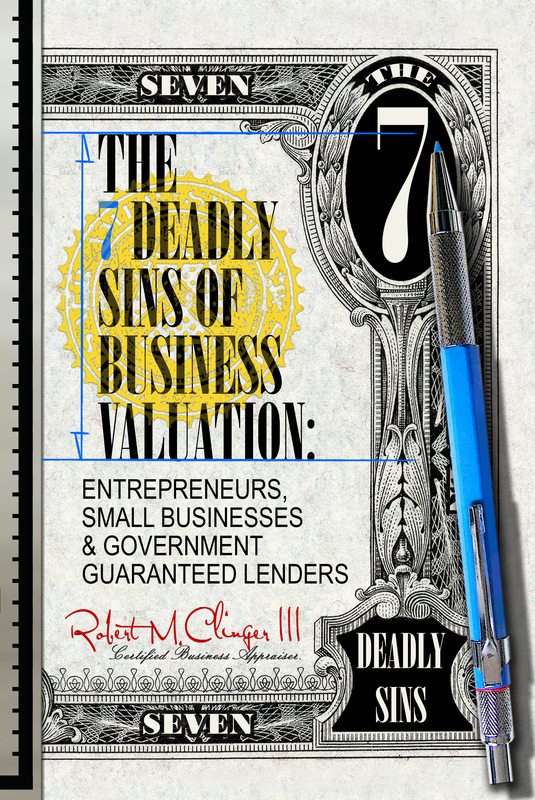 The 7 Deadly Sins of Business Valuation: Entrepreneurs & Government Guaranteed Lenders discusses and illustrates how valuation “sins,” whether by the appraiser or the lender, may impact the value of the small business and, thus, the lender’s decision-making process. This Book is currently unavailable. Please view the executive summary here.